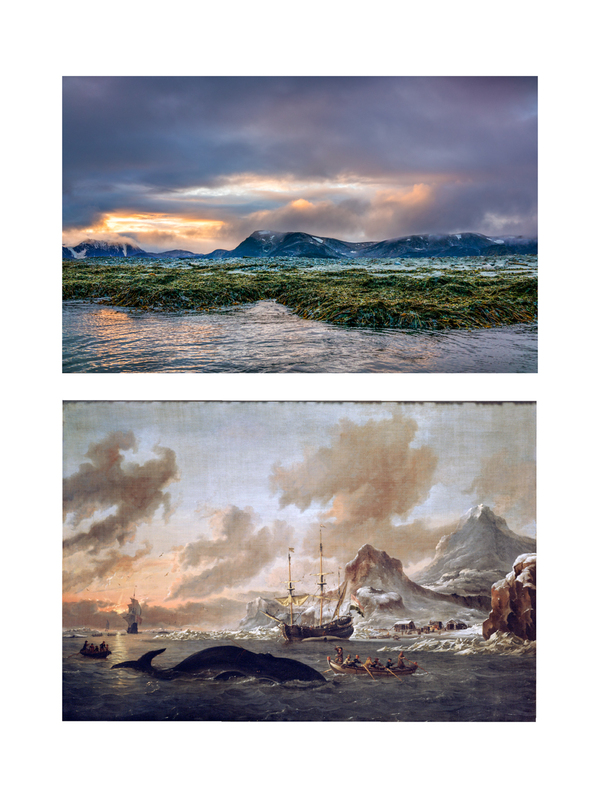 When I sailed into the high arctic at the beginning of the winter of 2016 -2017 I brought along a packet of postcard reproductions of the many paintings that have been made over the centuries of the whaling stations established on the Svalbard coastline at the very beginning of the 17th century. I wasn’t entirely certain what I would find on those shores now—though typically the far north is so cold and dry year round things decay very slowly, but the seas are rising and the we were besieged by heavy rains that stripped all the snow from all the mountains all the way to 80° North. Many of the paintings, including several here, were made by artist who had never been that far north. In the early 17th it was much too perilous and difficult a journey—so much so many of the whalers paid for their own funerals before they left home. The season was brief and difficult and if they did not head south by the end of August they faced certain death once the polar pack ice closed in again. Those earliest paintings were celebrations of industry, intended to generate national pride—the landscape is seen as servant to empire. 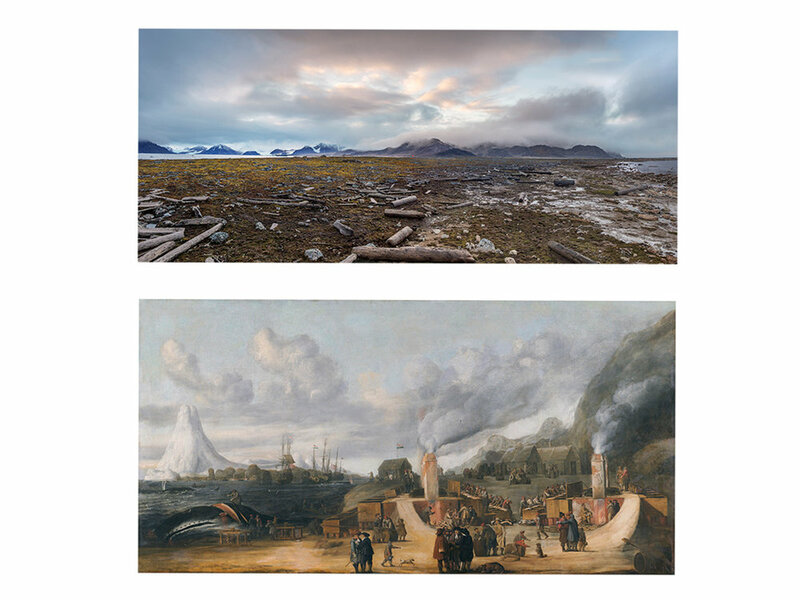 By the mid 19th century artists were joining Science expeditions and those images are often topographically accurate, but woven with the drama of fantastical scenes—imaginary dramas meant to evoke a sense of the sublime—and to underscore the sacrifice of the hundreds of men who had died there.